The first thing you should know is that typically, the special needs parent will never ask for help. Often times, they know how overwhelming theirs life and struggles can be and they don’t want to burden anyone. If they do ask you for help then it’s truly needed. One of the things the special needs parent does very well, aside from raising amazing but challenging children, is suffer in silence. They have become so dedicated to their child that they often times lose themselves in the process but rarely if ever complain about it. 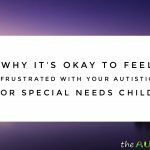 The special needs parent typically struggle with exhaustion, finances, time and just about everything else. If you wanted, you could send them a gift card for groceries or maybe their favorite take-out. There is often times a tremendous financial burden associated with special needs parenting and maybe a gift card will help them provide groceries for their family, if things are tight that week. Think about making arrangements to go over and spend some time with their child (if that’s something that would work). 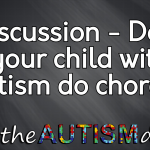 Educating yourself about Autism of whatever else the parent is dealing with is important for something like this. 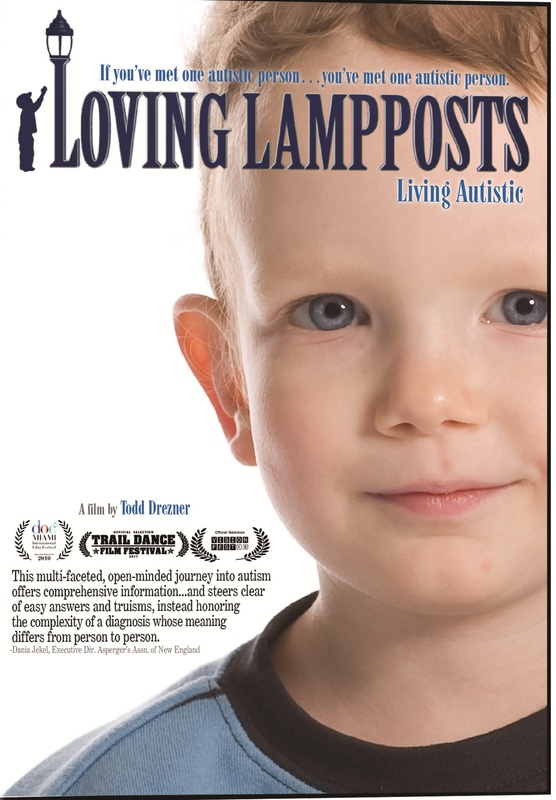 Not only will educating yourself help you relate to their child, but knowing that you took the time to learn about their child’s condition would mean a great deal to any special needs parent. I live a 3 hour round trip from a relative raising an A child. I have offered many times to get together, have had them on overnight visits, but get turned down for everything I offer. We blundered on our first visit in reacting to violence against our children and the child’s sibling. 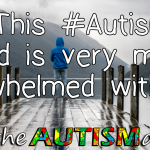 We were not prepared at all, and after subsequent discussions with one parent (my relative) we had another over night visit that was described as incredible, amazing, more therapy in 2 days than in 6 months etc. yet I have been rejected for every subsequent attempt to get together. I have been told they will never be coming again. I assume it’s the other parent who knows this condition is an awareness issue for the rest of us, yet won’t accept that without any preparation we humans are going to make mistakes. So to the parents of A children, if you want to get help, have connections with family etc, I recommend you give a smidgin of understanding to those who do not yet understand ( as you likely did not until you were forced to learn) but are willing to try. If you claim your situation is challenging (and I now know after self education that it can be off the chart challenging) and no one understands, than accept that for everyone involved. Otherwise you will end up holding into one episode that typifies these interactions, hang on to whatever grudge you may have, and deny your special needs child if likely the only meaningful connection he or she may ever have. While that’s a bit cryptic and I’m not sure I followed and completely understood, you do make a really good point. Thank you-I wish more people would help than criticize. I honestly believe that a higher power than me is helping me and my husband raise our autistic boys. Because we’ve gotten minimal support from most people. You wrote a wonderful article! Many good ideas. Well done! Well said! You are right, I never ask for help, yet it would really make my day if someone would at least offer. I LOVE this post in a big, bad way. We are the parents of a 2 year old with Epilepsy, CP, Cortical Visual Impairment, Hearing Impairment, Non-Verbal and a whole host of other issues. We did know in advance of any of his health issues and were suddenly thrown into Special Needs World when he was five weeks old. In the subsequent weeks, months and years we have lost friends, had family members disappear, and were fed shovelfuls of platitudes about raising a child with special needs by those who did stick by us, all the while getting very little to no actual help other than our parents. I got sucked into a big dark void mixed with a hearty dose of postpartum depression. Other new parents treated us like Matt’s issues were contagious and that by associating with us their kid was going to end up like him. Additional Info: Apologies for Typos, spell check, etc. I could swear I triple checked before posting 😉 Also, I feel much better already, being able to express feelings in a safe no judgement place feels so good. Thank you, Thank you, for this blog! This is my first time visiting your site. 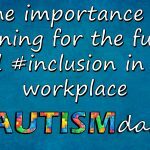 I found it as I was searching for other people who could be going through the same as I am, isolated from immediate family and other relatives, while raising a child with autism. I wanted to know how others work through these issues as I think I have lost the emans to cope with it. How to not let the feelings bring you down, I would love to know. What i found after reading your blog was great relief. 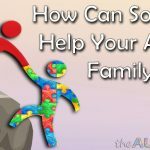 You have no idea how much i would love for my family to understand the challenges and differences of raising a child with autism. More importantly how isolated I feel day after day and how much it hurts to know that 2 sisters and husbands, 1 brother, his wife and kid, 1 niece, husband and kid live just 15 minutes away from where we live but have never ever stopped by my house. The excuses were always so many, I stopped trying. Instead, I visited them. It didn’t really work as easy as I would have wanted for it to be. They have no problem making the drive for shopping purposes, as I live in an area with plenty of shopping malls and ammenities, but apparently it never occurs to them it would be nice to stop by or call to ask if I may need something or tonspend sometime with me and/or my daughter. My daughter is 9 years old, I am a single parent. I apologize for letting the emotions show while I am typing, today is just one of those days where I feel more fed up with this situation than it has ever been. @L NY you never need to apologize here. You are experiencing something that is truly unfortunate. In my opinion, letting your emotions come to the surface takes a great deal of courage and I admire that. May I suggest you join our forums and share whatever you feel you need to. There are so many of us going through the same thing. You aren’t alone. But why, oh why…don't those who are family, live near by, are obviously related to us…even ever think to help? Making more stress, that we do get from them! That\’s a really good question and a really good point. I love reading this stuff! Having a daughter who's suffered 3 Strokes between 4 and 6 months old, even though all of our situations are different, we all have the same underlying feelings! 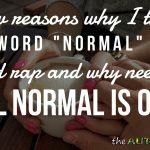 I am a mom of a hubby diagnosed with PDD-NOS, followed by two sons with the same, and our youngest son with severe Autism. Last week, our only daughter age 16 was also diagnosed with PDD-NOS. You're notta kiddin! I am so LOST and TIRED!! 🙂 Love your article and we are sharing it with family and friends and our church members. Thank you for your insight. Just a friendly word at an event such as a parade will help. I know my kid is acting strange, but talking to me and him kindly is a wonderful part of a day. I was 17 years old when I gave birth to a boy with multiple physical and mental disabilities. His father left us immediately and I started the process of hospitals, specialists, working and going to college, and trying to be a single parent. 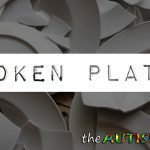 I have read many posts on here, including the author of the blog, where so many of you chose to continue having children and many of you now have multiple disabled children. I honestly would like to know why you chose to continue having children if you knew the odds were that you would have another child with disabilities? It seems selfish to risk having more children with serious health issues, and having a healthy child seemed that it would take away time from my disabled child. I am looking for honest answers please – not lip service about how all children are special or "let God decide". I truly want to know please. All of the children have special needs of some sort. 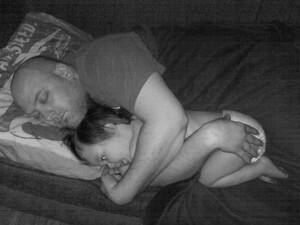 That autistic child was born for a purpose ………anytime you get frustrated or overwhelmed say a prayer or hug your child. Look back and reflect on the good times. Its not easy but its worth it when you see that child smile and say I love you. This is a wonderful post. Thank you Rob. It is hard to ask for help, to even know what to ask for sometimes. If it weren't for the ABA therapists in my home most days I could go days without really talking to and interacting with another human being. That's just not healthy. I also have 3 sons on the spectrum and for the most part they are all nonverbal. They are wonderful but sometimes you just need to know someone cares and be able to talk to someone that will talk back. As special needs parents, we can feel so isolated. It's so good for our friends — and we are blessed with wonderful friends who genuinely want to help — to hear what you have to say. I am a stay at home father of five kids, of which 3 have special needs. I have been searching for an organization that offers advice and education to stay at home fathers. There isn't really anything out there that I can find. So, in my "free" time, I am going to start one. I blog and have a group on facebook that I use to communicate with other parents. There is a group of parents out there that is struggling with being heard. And that is the stay at home father. Blessings to you and your family. When I get the website up and running, I will send you a link. Great idea Carl. There aren\’t slot of resources available. I try to provide something similar as best I can. Awesome idea. Hi Rob. Love your blog. 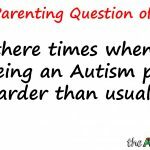 I'm a SAHM to three children, including a non-verbal boy with severe autism and a girl with ADHD and Oppositional Defiant Disorder (ODD). 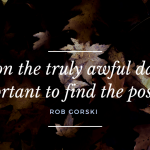 Life is challenging on the best of days, but reading your story makes me feel not quite so alone. Hang in there! I know you will, and I will too, because there is really no other choice — our children need us. Excellent post! It made me feel like my feelings are normal for an abnormal situation. Thank you so much for sharing! I had been a single Mom of an ASD boy for mostly 7yrs before having my daughter two years ago, as a single mom. Thankfully she's two now and not on the spectrum (that we can tell! ), because I can only imagine the challenges I would have faced, even though I know we would have persevered. Boy and I, we're strong, grin. I remind him that every day (low-tone, and easily frustrated). It was very tough with a new baby on the way and knowing I needed more support than I could provide by myself after she came. So I found myself living with my grandmother just so we could survive on the piddling income I could make while still devoting enough time and attention to my son for him to keep progressing well enough to keep up with his classmates. But by keeping up, I mean just barely. His academics in everything but recess were hovering just above actionable status by the school, but only because of the six hours I would put in most every night just to keep him treading water. Reading/storytelling and recess were the only two things he cared about .AT.ALL. Math and spelling? He just didn't care about. He loved to create stories, but couldn't be buggered with the spelling, or working on improving his handwriting. Even knowing that *he* couldn't re-read what he wrote wasn't a good enough catalyst for him, he would just make up new words to go along with whatever he drew. He saw no point, didn't want to, and that was pretty much the end of that. Anyone trying to get a seriously balking ASD kiddo to do something they don't want to do can probably help me write that book, grin. Because of his slower development in a few areas, like attention span, coherent communication with anyone not knowing his "language", and social skills – plus the bullying he was receiving just because of who he is – in February I decided to pull him out of public school and devote all my free time to his education, since I already was anyway. Seems that six years in the school system only taught him one basic lesson: Wait twenty minutes and whatever you don't like will go away, grin. But that meant that homework – and I mean LOADS of it – would come home from his entire school day's worth of classtime activities, since he didn't do it during class, or stay present enough to absorb anything the teacher said. Worksheets covered with doodling, and a really intensely rich imagination were all that got worked on while in public, sigh. He is amazingly gifted where it comes to reading though, but even that can't be attributed to school. He started the past school year well ahead of his peers after learning how to read over summer break, and all because of his own desire to decode these little squiggly lines and figure out Teh Sekritz of the written word, grin. Ok, sorry… had to have a little mini-rant there. Better now, I think, grin. People that have done for me the very things you just suggested in this post are about the only things that kept me going sometimes. I'm so very glad there are people like *you* out here to keep me from feeling nearly so alone in all this. I definitely shared the link, because I know a goodly percentage on my friends' list either are a special needs parent or know one. Keep on being awesome, and give an extra snuggle to any who will take it tonight! 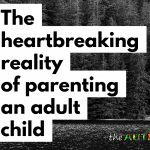 I found your site after a group conversation amongst Moms of Special Needs Kids and how our husbands cope or what breaks our marriages, and someone posted this link up. The photo above is my husband to a T, I know its hard no matter which parent you are. So I just wanted you to know that others in your situation (though obviously not the same) appreciate what you say and send you strength and understanding and wish we could be there to help! Its tough doing it alone, and as you say, we do it in silence, I always assume people will want nothing to do with my son and would be afraid to look after him, because often thats the case. HUGS FROM AFAR – You do a great job! Cute photo! I am often found snuggled up in my boy's bed if he is having a really tough night.or is sick… because of his issues at 4 years he is unable to get out of bed or ask for help if he needs it. I have 3 beautiful children, the youngest being Downs Syndrome.Of course I wonder what are lives would have been like if my baby could have been ( Normal , should I say). And what is Normal I say?? Are family has had many, many, trials & tribulations, but would not trade one miniute of it!! My baby will be 40 yrs. old come Feb., & I thank God everyday for giving me this child,making me STRONG, and being with me to take care of him. And I just need you to know, I despise the word ( retard) !!!!!!!!!!!!! Wow. You are truly AMAZING. You have been doing this for such a long time. This is beyond inspirational. There are many times that I have a tough time believing that there will be a future. You have just given me hope. Thank you so much for that. +1000 on despising the word retard. Down syndrome children are smarter than normal ones and very special. God gave them the gift to love unconditionally without fear. Most people will never know that gift…Bless that child…..
great post! We are the parents of 3, 2 of which have pretty big medical needs, especially our youngest one. Your post is so very true of the lifestyle we lead! Prayers for your family!!!!!! Prayers and thoughts right back at ya Cindi. Thanks so much. Great post man. I have people ask me all the time what they can do for their friends giving care for special needs kids. You nailed the most practical ones for sure. Some wonderfully loving caregiver parents and I have started a non profit organization in Houston called Desperate for Respite, to give parents and caregivers 4 hours of respite from the grind of isolation. You can check us out at http://www.desperateforrespite.com. What an amazing thing you are doing. Thanks for your support and for your support of other special needs parents. I'm going to check out your site and then tweet it out later. Thanks again. Thank you for posting this Rob. Very well said and it's especially meaningful to hear it coming from a special needs dad. I'm the mother of two sons with special needs and facilitate self-renewal groups for special needs moms. Blessings to you and your special family. Beautifully written and such an important message! I just found your blog yesterday through the Babble.com Award. You definitely deserve it! Keep up the wonderful work you are doing here and blessings to you and your family. Thank you for your support. 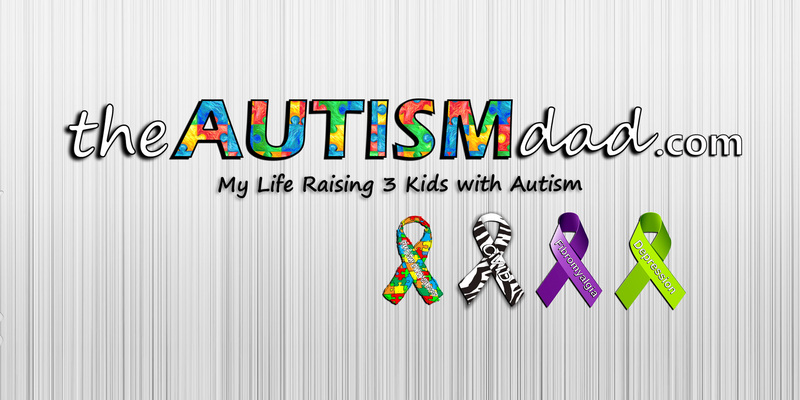 Thank you for reading and helping to spread Autism Awareness.